It was just after nine when we arrived at Emil’s. It was a bar and restaurant with no dance floor that catered to big business hot shots who worked on Wilshire. Mickey, Tina, and Earl were there. Mickey stood at the bar with a small crowd around him. I could see him working a routine as if he were at a nightclub. Next to him, on the bar, was a glass filled with change and a few bills. It happened occasionally. Mickey would be entertaining a small group of friends. The group would slowly grow larger as more and more people started listening in. Mickey would set up a glass with some change in it, claiming that he didn’t mind going public with his conversations as long as people paid up. He’d gotten thrown out of a few bars that way, but most bartenders didn’t care. The group roared. Mickey went on with his Saturday Morning cartoon routine: Muppet Babies meet the Ninja Turtles. Mickey had seen me and who I walked in with. But Mickey is a professional first and foremost. He didn’t miss a beat. I, on the other hand, was more than a little uncomfortable. I didn’t have an ice cube’s chance in hell with Phillip DuPre, but I didn’t need my ex-boyfriend, who was still in love with me, hanging around at the same time. He’d recognized Mickey, too. He walked over and put a folded bill into Mickey’s glass. Mickey went right on without blinking. I found Tina and Earl sitting in a large booth in the back corner and steered Him that way. Tina, thank heavens, is too cool to let anyone see her jaw drop. Earl, of course, didn’t know Phillip DuPre from Ma Bell, so he didn’t care. “Yeah.” Tina smiled back. She was too cool to talk, however. “You know Tina?” Earl asked. “So am I,” He replied quickly. Mickey called it quits, singing a little theme song that sounded suspiciously like the old “Tonight Show” theme. Grabbing a fresh drink and his glass, he wandered over and squeezed in next to Earl and Tina. “We must allow august personages some room,” he said, mugging. Well, that broke the ice, at least as far as Mickey and Tina were concerned. I was still hopeless. “So, Earl, are you in the business?” He asked. Mickey counted his money. “Crap. Somebody put in a fifty.” He looked at Him. “What took you guys so long to get here?” asked Tina. “Geez. Introducing Phil to Peter already?” Mickey snorted. He was a little bitter. We all shifted. Mickey sighed. He looked at Him. Mickey slid out of the booth. I could see him fighting the jealousy. I followed him to the other side of the bar. Mickey shook his head and went back to the booth. He said something to Phillip DuPre, and they both watched me. I was about to crown Mickey, then thought it was just as well. I looked around the bar to see if Mr. Hendricks was around. He wasn’t. On the other hand, Devon was. Strangely enough, he was surrounded by women at two small tables near the front. I squeezed onto a vacant barstool. The bartender, a young woman about my age with lots of hair, came up for my order. “A singles’ joint like this?” Grinning, she handed me one. “You’re the twentieth person tonight.” She poured my drink with professional ease. “Last Wednesday, a friend set me up for a blind date, only I chickened out. We were supposed to meet here, and I think he chickened out also. His name’s Edgar Hendricks, and he says he was here all evening, ate dinner, then picked up on a chick and brought her home.” I settled in better as the woman next to me left. I didn’t get to finish. Hendricks backhanded me so hard, I fell off the stool. He was on me in a second, yanking me up, bruising my arms with the force of his grip. A leather-covered arm dropped around Hendricks’ neck in a stranglehold. Hendricks hung on, dragging me along as Phillip DuPre pulled him back. “Let her go!” He yelled. Hendricks sent me sprawling backward, then kicked Phillip DuPre in the shins and struggled out of His grasp. He grabbed at Hendricks and missed. Hendricks turned toward Him and tried to run for the door. People screamed and pulled bar stools out of the way. Phillip DuPre dived. Hendricks got caught and pulled down. Squirming and flailing, Hendricks refused to be pinned. He twisted on his back, swung, and missed. Pulling back, Phillip DuPre lost some of His grip on Hendricks. Hendricks squirmed closer to the door. Grabbing Hendricks’ arms was like trying to catch a windmill. Hendricks’ legs whipped about, too, keeping Him straddled over Hendricks’ hips, lest the flailing legs put Him out of commission. He flopped down onto Hendricks’ left shoulder and immobilized that arm. Hendricks twisted his hips. The shoe came from nowhere. One second, Hendricks’ right hand was empty and the next the dark loafer crashed onto Phillip DuPre’s ear. He pulled back in pain. The loafer struck again, landing on His shoulder. “Yo-yo-yo-yo-yo-yo-yo-yo-yo!” The cry rang out even over the screaming and shouts. Mickey stood on a nearby table and beat his chest. For a split second, everyone froze. “To the rescue!” Mickey dove into the fracas. I scrambled to pull Phillip DuPre back. He scrambled to catch Hendricks. Mickey reached for Hendricks and got Him. Hendricks scrambled between Mickey’s legs and got out the door. The three of us fell over each other like the Three Stooges running out after him. Hendricks took off down Broxton, towards Westwood Boulevard. I ran after Hendricks. Mickey ran next to me. Hendricks crossed the three-way intersection. Tires squealed as cars slammed on their brakes and metal crunched. People were all over. Mickey stopped me at the corner. I ran back to Emil’s even faster. He sat in a booth near the back. Earl flashed a penlight in His eyes, checking for dilation. Tina held a towel to His ear. A large distinguished looking man in a white shirt, black vest, tie, and pants solemnly watched the proceedings. “How’s your head feel?” Earl asked. “Okay, except for my ear,” He replied. He groaned and uttered something foul. “Will you get out of here?” I snapped. The large distinguished looking man stepped in. Stims took the hint and left. Tina hung onto His ear, as I wedged myself under His arm. I could only hope He wouldn’t notice how hard my heart was beating. “Where did Mickey go?” I asked. For someone in as much pain as He was, He moved pretty quickly. The kitchen glared after the soft light in the bar. At the back door, Earl looked around, then waved. The sound of his Honda Civic roared up. Tina, Phillip DuPre, and I squeezed into the back seat. We were barely settled before Earl was in the passenger seat and Mickey peeled out. 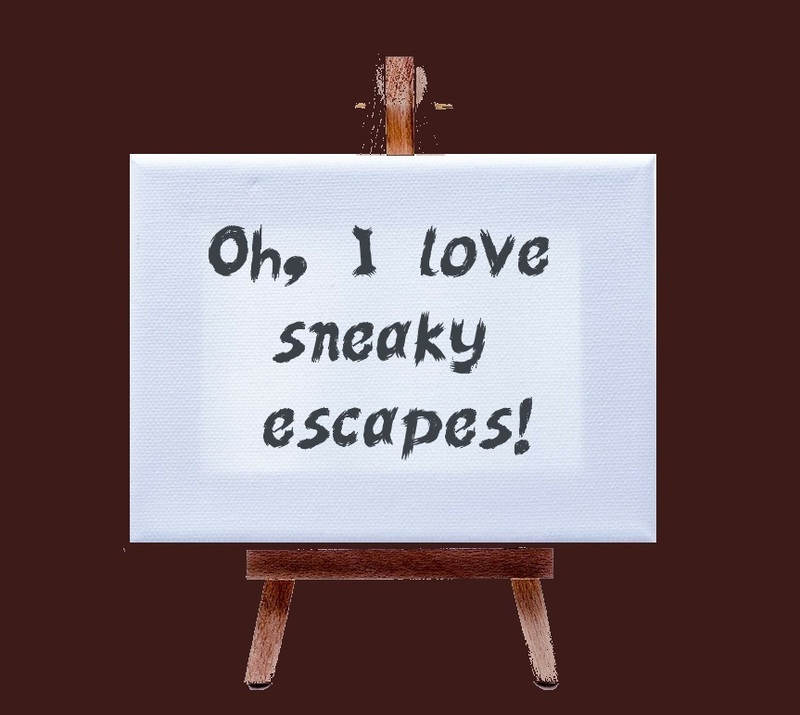 “Oh, I love sneaky escapes!” Mickey chortled. “Sort of makes up for missing out on the fight, does it?” Tina teased. Phillip DuPre laughed weakly. I directed Mickey to the parking lot where His BMW was. Mickey helped us out of the Honda. “Can you drive?” he asked Him. “I can,” I heard myself say. “Mickey, leave!” I yelped, turning purple. Mickey nodded, then traded places with Earl. I waited until the Honda had disappeared before getting the keys. I helped Phillip DuPre into the passenger seat, then ran around, and slid behind the wheel. He looked at me. Mrs. Sperling was up. We found her in the living room. The lights were on, although it was some minutes before it dawned on me that they didn’t have to be. “I didn’t get a chance to check,” I sighed.